Heidi Baker of Iris Ministries with children in Mozambique (PHOTO: Facebook). 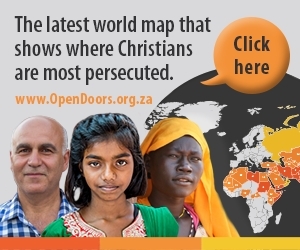 Inspirational Iris Ministries leader Heidi Baker has called on Christians around the world to join them in prayer, following an escalation of brutal attacks by young Muslim terrorists on villages in northern Mozambique — within two hours of their ministry base at Pemba. With reports of 23 civilians beheaded and at least 230 houses burned in the last three weeks, Heidi, who has been living in Pemba with her husband Rolland for 24 years, says in an official statement on her Facebook page that the attacks by a group of militant extremists that began in October last year have intensified in frequency and brutality in the past few weeks. Iris currently operates feeding programmes for thousands of orphans, runs free health clinics, manages primary and secondary schools and has fostered several thousand church plants. “Each attack involves burning hundreds of houses and wanton slaughter. Many were beheaded in at least six villages, two of which are within a two-hour drive of our Pemba base. Villagers are fleeing for their lives, carrying nothing with them, and have become refugees in the bush or on offshore islands,” says Heidi in the post. “We are praying for peace in Mozambique and our hearts mourn for the families who have lost loved ones. Our leadership team is in constant prayer, daily evaluating the situation to determine the best precautions for our staff. Based on the current situation, we feel confident to remain home in Pemba with our missionaries and Mozambican team. However, the government has canceled visas for our Harvest School students for security reasons, and they are having to leave within a few days. “Please pray with us in this troubling time for God’s strength for our brothers and sisters living all over our province of Cabo Delgado, that we can all shine more than ever in these dark days. If you have any questions, please feel free to contact our admin team in California,” she says. Among the first to take up the prayer call were ministry partners, the International House of Prayer in Kansas City USA, and Bethel Church in Redding, California, whose leaders report receiving calls from Heidi late on Saturday night. The urgent call to prayer is also being circulated by intercessors in South Africa. ACDP Member of Parliament Cheryllyn Dudley today expressed alarm at the situation in northern Mozambique. 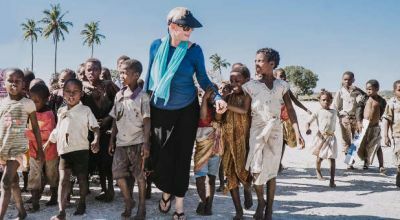 “The ACDP is alarmed and saddened at the situation and we add our voice to Heidi Baker’s plea for prayer for the people of northern Mozambique. The reports of people being raped and murdered by Moslem extremists are deeply concerning and the ACDP calls on government to urgently call for SADC and AU intervention and the deployment of troops to the area,” says Dudley in a media statement. “In response to reports that the militancy appears to have arisen among young men who received scholarships to train in Somalia, Sudan, Saudi Arabia and other Gulf states, Mr Yussuf Adam, contemporary history professor at Eduardo Mondlane University in Maputo said: social and economic stresses in Cabo Delgado could be the reason the militants’ message of achieving justice through the establishment of an Islamic state has found resonance among huge segments of the youth in areas where there are high rates of unemployment,” says the ACDP statement. Dudley says: “The ACDP calls on the South African government to respond without delay in making aid and peacekeeping forces available to the Mozambique government for purposes of responding decisively and effectively with the terror tactics of extremists. The region in which attacks have been taking place — around the town of Palma near the Tanzanian border — is close to one of the world’s biggest untapped offshore gas fields and the the US embassy in Mozambique has said Americans should consider leaving as imminent attacks are likely, reports Reuters. Any sign of militant activity is a concern for the country’s fledgling gas industry with more than $30-billion (R393.5-billion) expected to be invested in Mozambique’s natural gas sector to build capacity to produce 20 million tonnes per year of LNG, with the first exports from the fields discovered seven years ago due to start after 2021. While the situation in Mozambique is very serious, of great concern is the fact that I have not seen any TV news reports or anything in our main newspapers. I could of missed this as I don’t watch everything. What response has come from the SA government? BUT we are praying! !